This week I announce that the Surviving Cancer eBook is now available on Amazon. 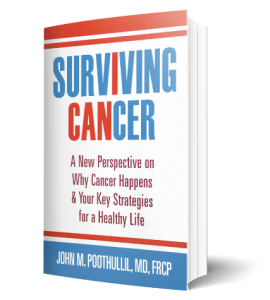 Surviving Cancer is the valuable and insightful book for anyone who has been diagnosed with cancer, has a family history of cancer, or has a loved one with cancer. Dr. Poothullil expertly guides readers on a journey to understand how cancer starts, how it survives and spreads, and how with the right diet it can be “starved” to prevent its spread throughout the body, allowing you to survive. Here is just one sample excerpt from the book from its 73 pairs of essays about cancer. This excerpt talks about the challenges presented to the supporting people around you. Also, watch this interesting video from Dr. John. 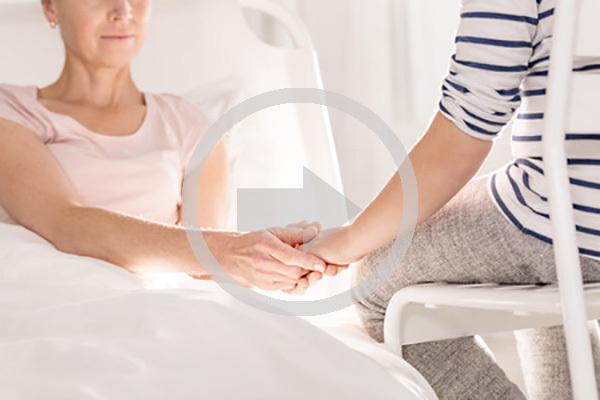 Once you are diagnosed with cancer, many thoughts and actions may seem to paralyze you, especially the fear of the unknown related to your prognosis, as well as the feelings of guilt based on what you could have done but did not do. Cancer creates a multitude of feelings in you, in your family members, colleagues, friends, and even in strangers who happen to hear about it. This means that you may be surrounded by a number of people who are concerned and fearful about your condition. It also means, while these people can be a source of comfort, they can also be a source of anxiety because of their own worry about you. Some may even wonder aloud to you about their chances of getting cancer. 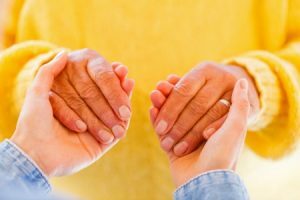 Friends and family may want to reassure you, some may want to give you material support, others will offer emotional support, and some may give you greeting cards or trinkets in an attempt to cheer you up. While you can appreciate the intention behind each one of these actions, it can also remind you of your condition and create a new round of anxiety and stress each time you encounter the person or the memento, unless you put all this in perspective. Talk to those from whom you truly want help and support. If some of them are not comfortable helping you because of their own insecurity, don’t let that bother you. Keep the mementos away from your sight because chances are you want to get on with your life without being constantly reminded of your cancer.